Matches are said to be made in heaven but this time looks like actors Ssharad Malhotraa and Adaa Khan’s fans have taken the task upon themselves to pair them up in real life. Both the actors recently realized that there are as many as four fan clubs by name of Sshadaa where fans want the actors to get married to each other as they look good together. Not just that, the actor Shashank Vyas’s fans have also joined this task of bringing Adaa and Ssharad together. It’s all the more interesting that now Ssharad and Adaa are shooting in close vicinity. When asked, Adaa sounded pleasantly surprised,“I have never ever worked with Ssharad Malhotraa but I was really surprised to see that there were our fan clubs. The videos and the pictures they have made seem to be so real. So, when we meet each other we discuss these clubs and laugh over it. We also share these videos with each other. It’s so funny and because of these four fan clubs, we are planning to work together in a short film or so,” shares the actor. Does this mean the love can happen anytime soon for Adaa? The two actors are currently shooting in the vicinity of Naigaon. 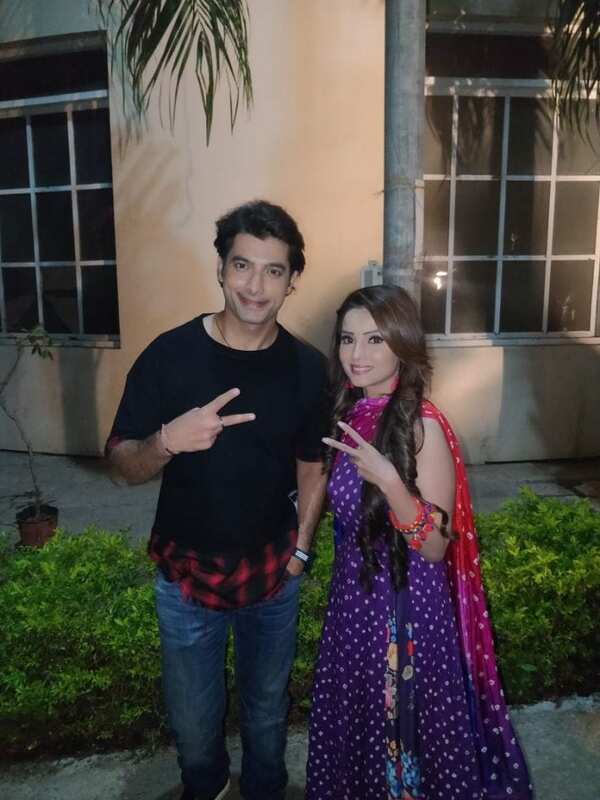 While Ssharad is shooting for Muskan, Adaa is there for Sitara. It’s not just fans of Adaa and Ssharad, even actor Shashank Vyas’s fans have joined the campaign to bring the Adaa and Ssharad together. Kundali Bhagya :- Preeta and Karan engage in some romantic banter during..